PLEASE NOTE: EPIC is Postponed Indefinitely due to an injury that Chris suffered recently. We will let you know when and if the meeting resumes. The EPIC Group (which stands for “Education, Properties, Income and Community”) is a Atlanta REIA Peachtree City Real Estate Investing Group that is all about buy and hold real estate investing, long term income and building your net worth. EPIC is hosted by by Donna Littleton, Broker & CEO of Solutions Realty Network, and her husband Chris Littleton and takes place at the The Loft at Due South located at 302 Clover Reach in Peachtree City, GA. Doors open for Networking and Haves & Wants from 6:30 PM to 7:00 PM. Announcements and a market update starts at 7:00 PM with the main presentation starting around 7:20 PM. There is no charge for Atlanta REIA Members and currently no charge for non-members as well. Cost: FREE for Limited Time For Everyone! The mission of the EPIC Group is to provide a platform for success in Real Estate Investing through Education, Properties, Income and a Community (EPIC) of like minded investors. 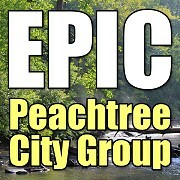 EPIC is held on Tuesday, March 21st at 6:30PM (3rd Tuesday) at the Flat Creek Country Club located at 100 Flat Creek Rd, Peachtree City, GA.The EPIC Group is hosted by successful real estate entreprenuers Donna Littleton, Broker & Co-Owner of Solutions Realty Network, and her husband Chris Littleton. There is no charge for Atlanta REIA Members and currently no charge for non-members as well. 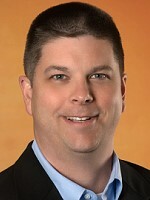 This month’s speaker is Scott Maurer, Director of Business Development for Advanta IRA. Scott is also a licensed attorney. 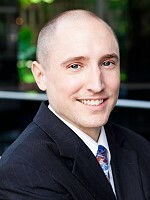 He is a frequent speaker on the topic of self-directed IRAs and has been in the industry since early 2006. Come Out on Tuesday, March 21st and every 3rd Tuesday of Each Month. You are sure to meet some great individuals and make lasting connections that will help propel your business in the right direction. We look forward to seeing you there! Surviving the Tenant Landlord Act in 2017! Don’t Let the Judge Throw the Book at You! The mission of the EPIC Group is to provide a platform for success in Real Estate Investing through Education, Properties, Income and a Community (EPIC) of like minded investors. EPIC is held on Tuesday, February 21st at 6:30PM (3rd Tuesday) at the Flat Creek Country Club located at 100 Flat Creek Rd, Peachtree City, GA.The EPIC Group is hosted by successful real estate entreprenuers Donna Littleton, Broker & Co-Owner of Solutions Realty Network, and her husband Chris Littleton. There is no charge for Atlanta REIA Members and currently no charge for non-members as well. Reviewing the law & changes. How the laws affect you. Law requirements for the property. Surviving move-in and move out of tenants. You are sure to meet some great individuals and make lasting connections that will help propel your business in the right direction. We look forward to seeing you there! Come Out on Tuesday, February 21st and every 3rd Tuesday of Each Month. You are sure to meet some great individuals and make lasting connections that will help propel your business in the right direction. We look forward to seeing you there! The meeting will be held on Tuesday, October 18th at 6PM at the Flat Creek Country Club located at 100 Flat Creek Rd, Peachtree City, GA. This will be a great opportunity for you to network with other like-minded investors and to learn about getting your foot in the door to big money with multifamily units. Come Out on Tuesday, October 18th and every 3rd Tuesday of Each Month. You are sure to meet some great individuals and make lasting connections that will help propel your business in the right direction. We look forward to seeing you there! 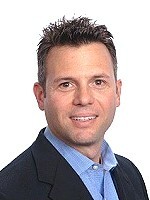 This month’s speaker is Chris Hernandez from State Farm, the Chris Hernandez Agency. 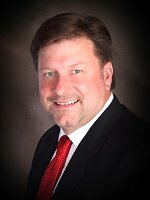 Chris is an avid Real Estate Investor and has 23 years experience in Insurance and Risk Management. Join us and learn how to properly insurance your rental investments TODAY! Come Out on Tuesday, August 16th and every 3rd Tuesday of Each Month. You are sure to meet some great individuals and make lasting connections that will help propel your business in the right direction. We look forward to seeing you there! Property Management, So Many Pieces, Where To Start? Property Management can be a rewarding and sometimes a bewildering experience. There are so many moving parts it can be hard to manage or remember everything that needs to be done. This is one of the reasons that our EPIC group exists. To relay great information to better manage your properties. On Tuesday, June 21st at the Flat Creek Country Club located at 100 Flat Creek Rd in Peachtree City, GA, Chris & Donna Littleton will be presenting: So Many Pieces, Where To Start? Come Out on Tuesday, June 21st and every 3rd Tuesday of Each Month. You are sure to meet some great individuals and make lasting connections that will help propel your business in the right direction. We look forward to seeing you there! *Please Note: EPIC Meeting agenda is subject to change. The mission of the EPIC group is to provide a platform for success in Real Estate Investing through Education, Properties, Income and a Community of like minded investors. A place to Network and Learn the pathway to success in real estate investing through different monthly topics presented by experts inside the real estate industry. The meeting will be held on Tuesday, May 17th at 6PM at the Flat Creek Country Club located at 100 Flat Creek Rd in Peachtree City, GA. This will be a great opportunity for you to network with other like-minded investors and to learn all about buy and hold investing. You are sure to meet some great individuals and make lasting connections that will help propel your business in the right direction. We look forward to seeing you there! Come Join Us at our New Time & Location with FREE Appetizers! The mission of the EPIC group is to provide a platform for success in Real Estate Investing through Education, Properties, Income and a Community of like minded investors. A place to Network and Learn the pathway to success in real estate investing through different monthly topics presented by experts inside the real estate industry. 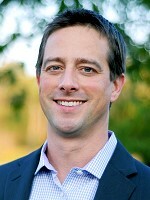 This month at the EPIC Group, our special guest speaker will be local real estate investing expert Bill Ham. Bill will be teaching you how you can start and build a hugely successful buy and hold business with multifamily income producing properties. The meeting will be held on Tuesday, April 19th at 6PM at the Flat Creek Country Club located at 100 Flat Creek Rd in Peachtree City, GA. This will be a great opportunity for you to network with other like-minded investors and to learn about getting your foot in the door to big money with multifamily units. Are you looking for monthly cash flow and passive income? The multifamily business is exactly where it’s at! Bill is going to show you how to create a lasting business that will produce monthly cash flow by holding multifamily real estate in your portfolio. In order to do so successfully, you need to use proven systems as well as someone to show you how to get started with those systems. Multifamily investing is one of the best ways to create long term revenue in your life. Bill is here to help you get started on the right track to creating that cash flow. Bill will share how he started his career with a single duplex and in just 10 years and has created a portfolio of 600 multi-family/single family units. The truth behind the real estate business with No Sales Pitches! Come on out on Tuesday, April 19th and the 3rd Tuesday of Each Month. You are sure to meet some great individuals and make lasting connections that will help propel your business in the right direction. We look forward to seeing you there! 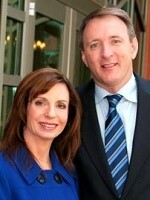 The EPIC group is hosted by successful real estate entrepreneurs Chris & Donna Littleton. They’ve designed this group to build a fellowship of like minded investors seeking long term wealth through real estate. They share a passion for seeking out sound real estate investment opportunities and making them profitable. 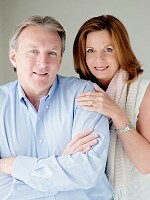 Chris and Donna are the owners of Solutions Realty Network, Inc., a property management brokerage that has served greater Atlanta for over 12 years. The team at Solutions Realty Network prides itself on being the experts in the property management field and proves it by successfully managing over 400 rental properties in 18 metro Atlanta counties. Visit www.SRNhomes.com for more information. The meeting takes place on the 3rd Tuesday of each month at the Flat Creek Country Club located at 100 Flat Creek Rd in Peachtree City, GA. The Peachtree City EPIC Group’s Goals. To take you from Wall Street to Main Street and your local neighborhood streets for better investment opportunities. To show how Buy and Hold Real Estate is providing some of the greatest opportunities for investments, creating Net Worth and Passive income. And we hope to share the knowledge for your success!